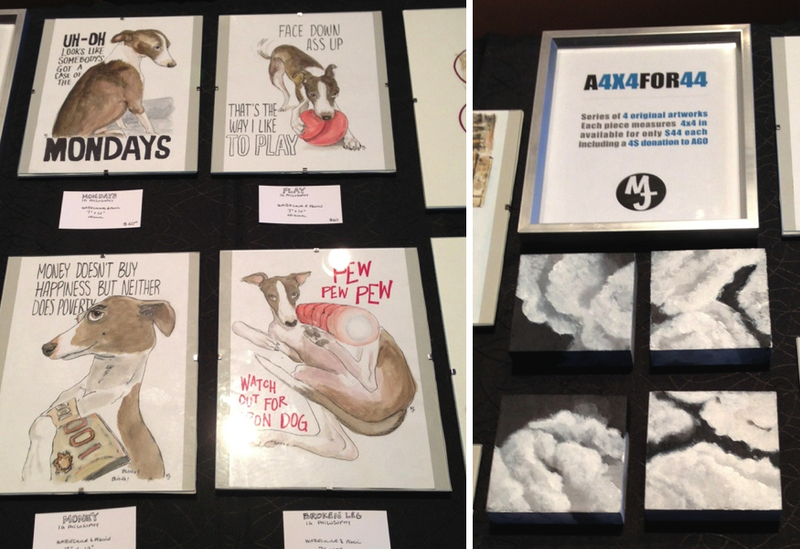 Last thursday, I participated to the Toronto Indie Art Market for the first time. Ever since I had helped a friend at a similar art market earlier this year, I've been wanting to try it out and see what it would be like to be a vendor for a couple hours. 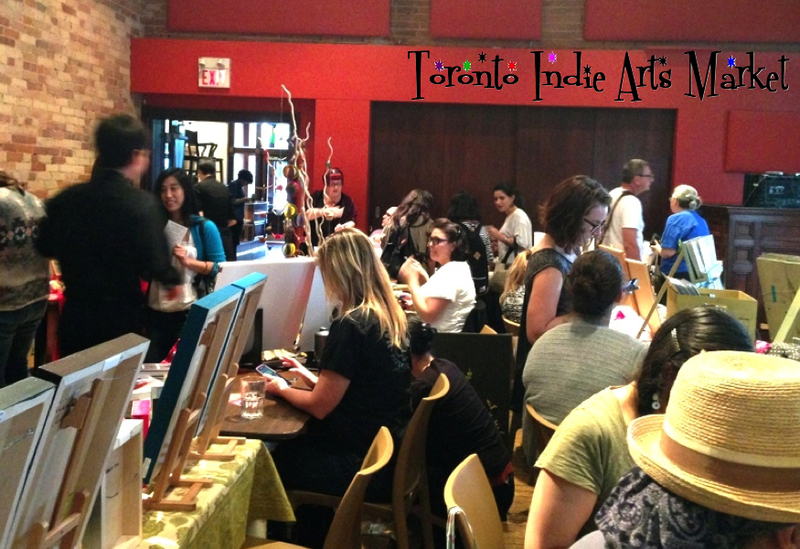 The event took place at the Gladstone Hotel and there were a good number of vendors offering various items such as jewelry, clothing, beauty products and artworks. After several trials to come up with different artworks, I finally decided to showcase some watercolours and another series for my 4x4 project. Amongst the watercolour artworks were some quotes accompanying pantings of Newton that made people smile. One woman even bursted out laughing as she was reading them. It was great to see. I learned a couple things during the event, the main one being that it's important to add height to the table and find a way to display the artwork upright, and bring more business cards. Also, I forgot to bring bags for purchasers to carry their artwork. It was also great to meet the vendors and see what they had to offer and their level of creativity. Two who particularly stood out for me were artist Josée Duranleau who's a mixed media artist. Her work looked like so much fun. It's definitely something I'd like to try at some point in the future. The other one was a jewelry maker and owner of Zippan. She had nice minimalistic modern pieces that really appealed to my taste.